Have you ever suffered with Anxiety and/or depression? Are you over 16 and do you live in the UK? This project aims to explore the risk factors for depression and/or anxiety. They want to collect genetic and clinical data from volunteers to build up a central library of information about people’s health. - Collect psychological data (with a questionnaire) and biological (saliva) samples. - Create an online resource of members interested in taking part in research. - Provide members with information about research projects that they can get involved in. - Regularly update members on the progress of the research and the contribution that they have made. - Provide online links to detailed information on mental health difficulties, the treatments available and where to seek help if it is needed. If you would like further information, or to share your experiences and help others click please this link: gladstudy.org.uk where you can also request a call back from the team, to learn more. If you have any more questions, please do not hesitate to contact one of our clinicians for more information or the Lead GP for this study, Dr Beltran-Martinez. 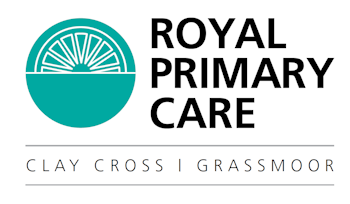 Lead GP Royal Primary Care Clay Cross and Grassmoor.